Mavic 2017 Model rims are their latest high performance equipment for wheelbuilders, including the ultrawide EX830 rim at 30mm wide internal. 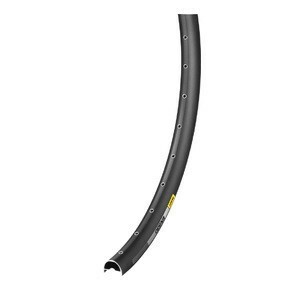 Available in a range of modern widths these SUP Welded and eyeleted rims are designed out of the box to be tubeless ready, just add valves and tape. Beadblasted finish for added strength and durability, they look nicer for longer even in rough riding conditions. Always a durable and well recieved manufacturer we are fans of Mavic rims here at Superstar because of their no-nonsense great value and quality.